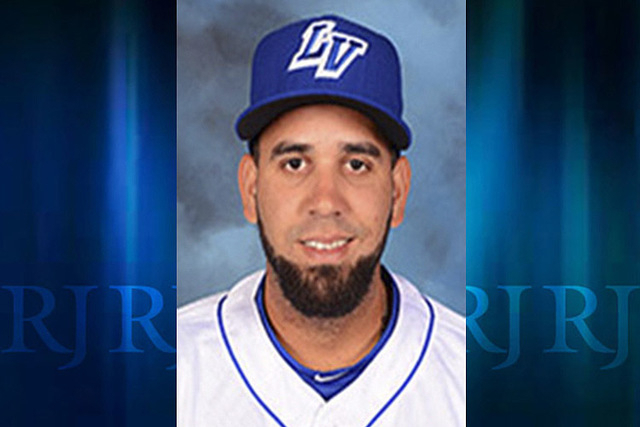 Gabriel Ynoa pitched eight shutout innings and Gavin Cecchini went 5-for-5 as the Las Vegas 51s defeated the Salt Lake Bees 9-0 on Saturday at Cashman Field in their final home game of the season. The 51s opened their season with theatrics as a walk-off home run from Marc Krauss sent fans home happy. They concluded their home schedule with a vastly different game — but one similarly pleasing to fans — with a well-pitched outing and an offensive outburst. Las Vegas (65-71) beat Salt Lake 9-0 on Saturday in front of a sellout crowd of 11,130 thanks in part to eight shutout innings from Gabriel Ynoa. At the beginning of the season, Ynoa was remarkably consistent, turning in quality start after quality start, but perhaps he hasn’t turned in two better ones than his most recent two after being sent down from the Mets. Saturday, Ynoa’s eight innings ran his scoreless streak to 16 innings since being sent down on Aug. 18. The righty got plenty of run support behind him as the 51s went off for six runs in the first inning with five consecutive hits. Gavin Cecchini keyed the offense all night long, going 5-for-5 with a pair of doubles. Dating back to Friday, the shortstop has seven straight hits. Cecchini scored a run in the six-run first and drove in a run in both the fifth and seventh as the 51s continued to pad their lead. Along with Cecchini, catcher Johnny Monell, Roger Bernadina and Matt Reynolds all had multi-hit nights in the victory. Monday: Las Vegas at El Paso, 6:05 p.m.
Tuesday: Las Vegas at El Paso, 6:05 p.m.
Wednesday: Las Vegas at El Paso, 6:05 p.m.
Thursday: Las Vegas at El Paso, 6:05 p.m.
Friday: Las Vegas at Salt Lake, 5:35 p.m. The 51s concluded their home slate Saturday with their fifth sellout of the season. 11,130 fans were in attendance to see Las Vegas beat Salt Lake 9-0. Now, after an off day, they’ll go on the road for eight games against El Paso and Salt Lake to conclude their season.